A major BART delay this evening was caused by burning debris underneath tracks inside the Transbay Tube, BART officials said. The incident prompted BART officials to single-track trains through the tube, BART officials initially said at 6:15 p.m. The delay stemmed from a blown insulator that apparently caused a small fire in the tube, BART spokesman Chris Filippi said. Response crews arrived on scene and were able to extinguish flames caused by burning debris under the track, according to Filippi. 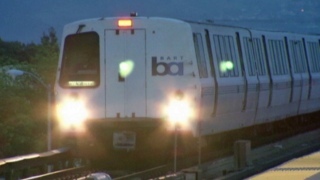 BART is beginning to recover from the incident and riders should expect residual delays.